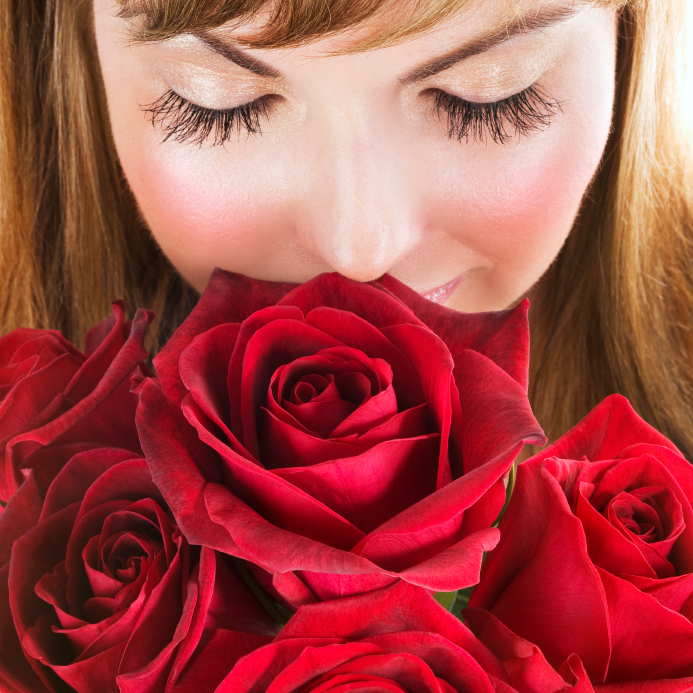 “Stop and smell the roses” has long been a saying associated with slowing down and getting rid of the stress of rushing around. However, did you know that it’s actually more than a saying? Several recent studies have shown that certain scents can actually alter gene activity and blood chemistry, resulting in reduced stress levels! You’ve probably heard many people say how happy they were to receive flowers or that they just love the sight of fresh flowers in their home. But why? Why is it that flowers seem to make people happy all the time? Is there really a type of “flower therapy,” or is it just wishful thinking? According to the study, flowers can actually trigger happy emotions. For several months, the researchers studied the emotional and behavioral responses of people who received flowers. From their reactions, they drew several conclusions. First, flowers can have an immediate impact on our happiness. When the subjects received flowers, they smiled and were genuinely happy to get the flowers. But flowers do more than make us momentarily happy. The study also showed that the participants tended to feel happy over a number of days, especially when they saw the flowers. So does this mean that you should buy yourself fresh flowers every week? Well, it couldn’t hurt! But truthfully, it means we all need to slow down and smell the roses every now and then. Stop to take a moment to enjoy flowers and forget about your stress and your problems. Flowers smell great, look great, and truly brighten up our lives, and if we just take a few minutes to enjoy them, we will also enjoy the benefits of flower therapy. Next time you know someone needs a little pick-me-up, send them a great arrangement of flowers. You’ll make them happy for days and forge a stronger relationship with them as well.